As a parent you’re not supposed to live vicariously through your kids. 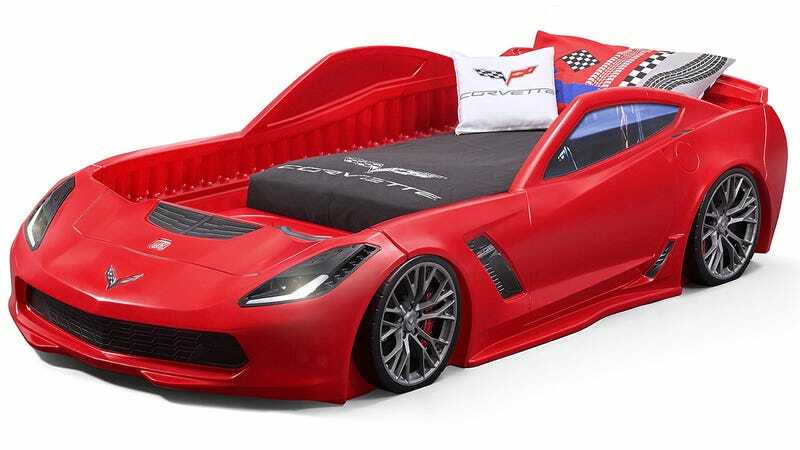 But anyone who says that doesn’t realize that Step2 now has a race car bed styled after the Corvette Z06. You’ll probably never be able to afford the real thing, but there’s no reason your kids should go without. Available at Toys R Us starting in February, the bed can accommodate a toddler-sized mattress, and then a twin as the child gets bigger so it will be quite a few years before they outgrow it.